While it’s a highly politicized issue currently, there is a truth to the financial hardships faced by Millennials that is, in many ways, completely unlike anything faced by previous generations. Millennials inherited an unstable economic market, a world of entirely unprecedented debt, and rising real estate costs that don’t match the sluggish growth in wages. 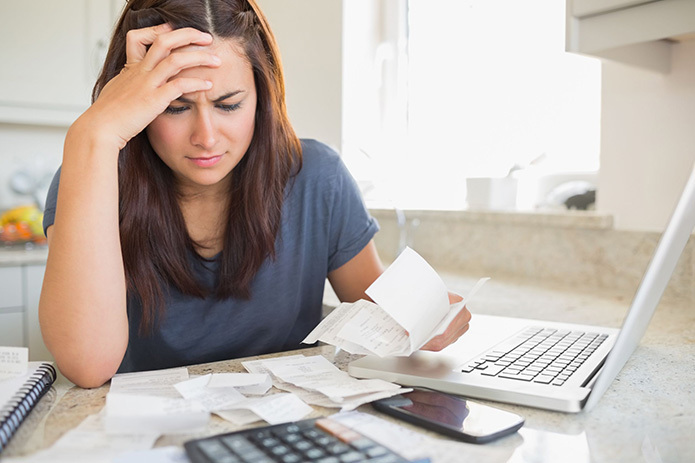 Millennials face unprecedented problems financially that results in frustration, stress, and, in extreme cases, even personal bankruptcy which can be detrimental for the financial future of someone so young. To get a better understanding of what challenges Millennials are facing when it comes to economics and finance, we’ve outlined the biggest ones below. Since 1988, the cost of receiving a college education has increased by 213%. What was one an average of around $3,000 a year has ballooned to almost $10,000 on average. And without athletic or academic scholarships, the cost of college requires many teenagers and early 20-somethings to take on monumental and, often, a lifetime of debt. In the past two decades, the average cost to rent an apartment across the country has risen nearly 75% with an average growth rate of 3.11% each year. This is often attributed to the gentrification of neighborhoods in various urban areas where traditionally lower priced properties were bought up by larger developers, renovated, and hiked in price. This continued rise in the cost of rent has resulted in many Millennials being forced to move back in with their parents after college, sometimes for several years. While debt rises and so does property cost, wages have not. In fact, back in 2008 when the Great Recession hit, wages were almost $18,000 less than what they were in 1979 and this was before the housing bubble burst and lost many people their jobs. And while back just after WWII wages increased by 91% to account for productivity, there has been no real growth in wages, despite needs in industries. Another problem is that those who decide the wages of Millennial workers got to see a 138% wage growth since 1979 while the average work saw just a 15% growth in wages since the same time period. Two chapters of bankruptcy fall under this category: 7 and 13. In the first any assets you have are liquefied to help settle the debt you owe. In the second, you keep your assets but agree to a payment plan. Many people don’t like the idea of losing assets but also don’t want to be stuck on a payment plan for years. Which one works depends on your situation and your personal financial needs. Bankruptcy law is complicated and often times a bankruptcy lawyer will not only explain the legal jargon and nitty gritty of the situation but advise on the best way to handle your situation depending on what you want to be able to do with your assets. They’ll also help you over the course of your repayment period as needed. The idea of getting a lawyer may scare a lot of younger folks, but they’re necessary in situations like this. Millennials do have it as tough as it seems, and the situation doesn’t seem to be improving. If you find yourself in a financial bind and need advice, don’t hesitate to do research and find yourself legal help to secure your future. Aside from the Millennial debt crisis, many personal bankruptcies are triggered by circumstances well outside an individual’s control. Life events such as; significant illness, loss of a job, and even divorce can negatively affect a person’s ability to maintain and enjoy their lifestyle. If you are in financial straits and are ready to take control of your financial future, Hines Law Offices can help. We have been representing personal bankruptcy clients throughout Massachusetts for over 13 years. You will find the lawyers at our Bankruptcy Firm, compassionate and skilled at understanding the realities common to debt relief. We provide clear and practical advice so that our clients capture the best the legal system can offer. Call us today for a Free case evaluation!